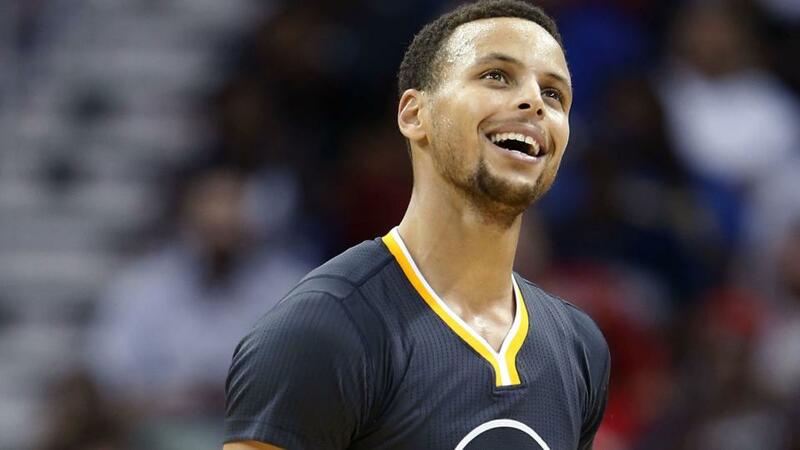 Is reigning MVP Stephen Curry even better than last year? It sure seems that way. Golden State's sharpshooting point guard is averaging 39.3 PPG on the young season (.486 3P%) as is his team is a perfect 3-0. His 53-point outburst against the Pelicans included a 28-point third quarter, which only goes to show that the 27-year-old is pretty much scoring at will out there. Curry is off to the hottest start in 27 years! Golden State's Western Conference Finals opponent, the Houston Rockets, started the season on quite a different note. As if an 0-3 record isn't bad enough, the Rox became the first team in NBA history to loste its first thee games of the season by 20 points or more. Yikes. Harden, especially, is stinking it up big time. The bearded "super scorer" is averaging 18.0 PPG on .222 FG% and .094 3P%. Another accolade for the Big Three of Tim Duncan, Tony Parker and Manu Ginobili. In a win over the Boston Celtics, the trio made history by becoming the NBA's all-time winningest symphony. Offseason acquisition LaMarcus Aldridge helped them make history by scoring 24 points and grabbing 15 rebounds. They're here, they're here! Honoring a longstanding NBA tradition, Adidas has unveiled new uniforms (and socks) for the 2015 NBA Christmas Day Games. I would like one of everything. The Sprite Slam Dunk Contest is months away, but two springy-legged guards have already emerged as worthy contestants. I'm talking of course about the Thunder's Russell Westbrook, whose powerful putback slam against the Nuggets was nothing short of insane, and the Celtics' Avery Bradley, who spectacularly climbed the ladder against the Spurs. Now only Blake Griffin and Anthony Davis have to get on board and I'm set. The Laker' youth movement has forced future HOF'er Kobe Bryant to take a backseat and cede control of the offense, but that doesn't stop the 37-year-old shooting guard from further adding to his legacy. With a putback in a loss to the Sacramento Kings, Mamba scored his 11,334th bucket, passing his former teammate Shaquille O'Neal into fifth all-time in field goals made. On October 25, Timberwolves coach Flip Saunders passed away at age 60. His untimely passing led to a wave of condolences and tributes around the league. Kevin Garnett took to Facebook to mourn the loss of his friend, others expressed their feelings via Twitter and Instagram, and Kobe and the Lakers even donned 'Flip' jerseys for their warm-up against the T'Wolves.